Why: Join us at one (or more!) 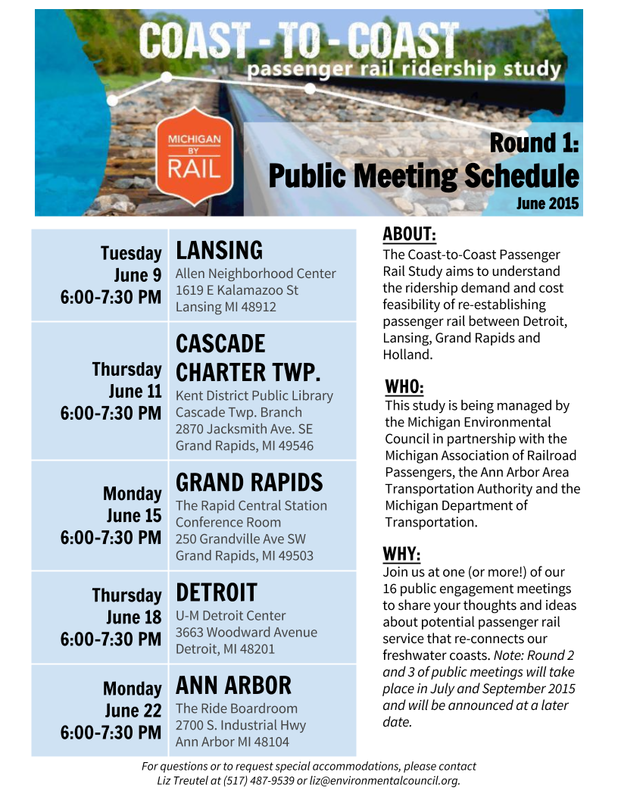 of our 16 public engagement meetings to share your thoughts and ideas about potential passenger rail service that re-connects our freshwater coasts. 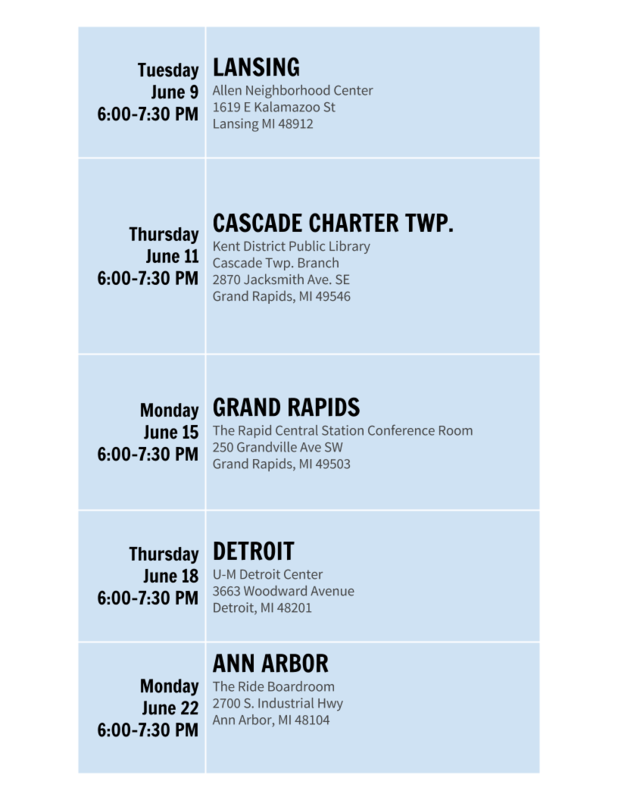 Note: Round 2 and 3 of public meetings will take place in July and September 2015 and will be announced at a later date. For questions or to request special accommodations, please contact Liz Treutel at (517) 487-9539 or liz@environmentalcouncil.org. We vote a HUGE yes!!! Would use rail from Detroit to Holland often.